(Kazan City KZN.RU, May 7). The technological center of the company «TGT Oilfield Services» was visited by the President of the Republic of Tatarstan Rustam Minnikhanov. He was accompanied by Mayor of Kazan Ilsur Metshin, vice-premier - Industry and Trade Minister of RT Albert Karimov, Assistant President of the Republic of Tatarstan Rinat Sabirov, president of the Academy of Sciences of RT Makzyum Salakhov, the head of Almetyevsk municipal district Airat Khairullin, Director General of "Tatneftekhiminvest-holding" Rafinat Yarullin and others. International company «TGT Oilfield Services» renders services in the field of geophysical research and monitoring of hydrocarbon fields, as well as services for geological and hydrodynamic modeling. Partners include companies such as BP, Petronas, Total, PJSC "LUKOIL", OJSC "NOVATEK", OJSC "NK "Rosneft "and others. The opening of the technology center in Kazan was held in 2015. 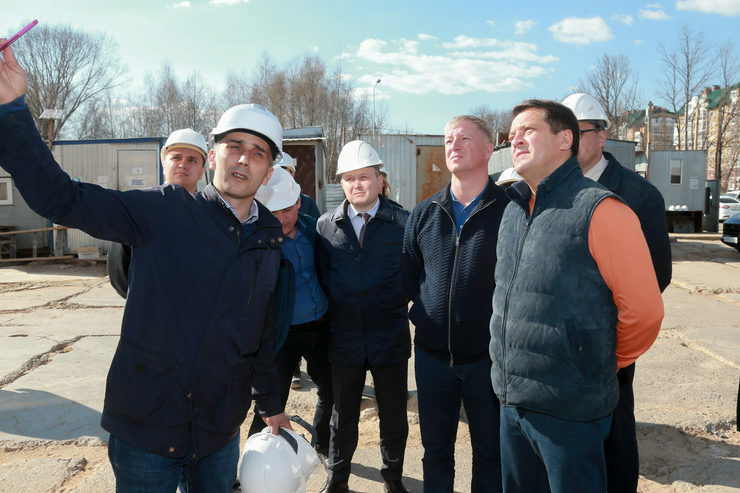 A tour of the facility for Tatarstan President was held by the CEO of the company's technology center «TGT Oilfield Services» Dmitry Davydov. Rustam Minnikhanov visited the plant for the production of geophysical equipment. Today the manufacture involves 20 people, work is being done on the Japanese high-precision machine tools equipped with numerical control. RT President also inspected the assembly shop, where there is a calibration of instruments, and the "quiet" room, designed to test the sound level meters. After that station with test wells deeper than 400 meters was demonstrated to Rustam Minnikhanov. At this site primary testing and inspection of devices for all parameters is produced. In research and development laboratories it was said to RT President about the whole chain of new equipment, from design to final product testing. Then a workshop on the development of the petrochemical industry in the Republic of Tatarstan was held, in which the management of the company «TGT Oilfield Services» voiced their achievements and proposals in this area. During the meeting participants spoke about the training of young specialists. Rustam Minnikhanov noted that the main source of manpower for the oil industry of the republic Almetyevsk State Petroleum Institute in the future should be leading in all of Russia. Finally, Rustam Minnikhanov congratulated the ideological mastermind of the company «TGT Oilfield Services», professor of Kazan Federal University, Doctor of Technical Sciences, a veteran of the Great Patriotic War Nikolay Neprimerov with 95-year anniversary. "Rubin" played a draw with "Krasnodar"